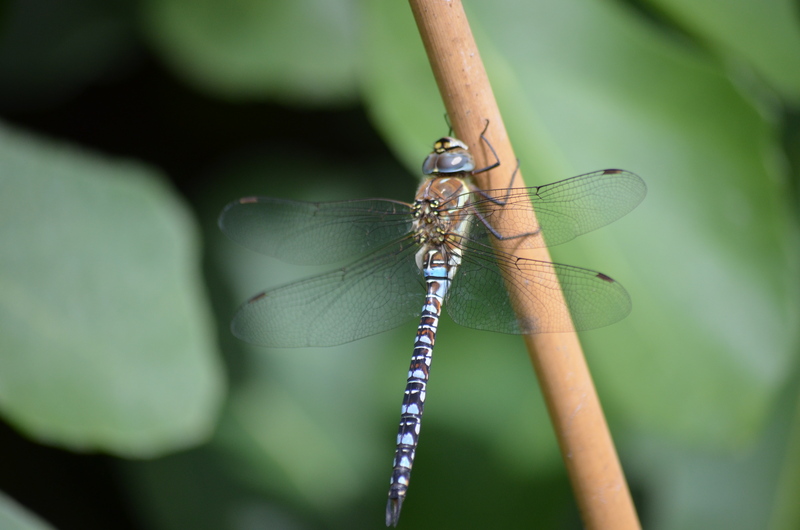 This chap (I presume it’s male) landed on a bamboo cane near the little pond I’ve created. How envious am I not to have two pairs of wings like him. Saturday! It’s Cambridge parkrun. I’m feeling fast. I’m confident. I look skyward and see Zeus reclining on a low cloud. He gives me the thumbs up. I can’t fail to get a personal best. It’s a big field of runners today so I position myself nearer to the front than usual. We’re off and I’m running like a fierce wind or alternatively, like the shape shifting, liquid metal T-1000 Terminator in Terminator 2 : Judgement Day when he chases Arnie’s speeding car. It seems to be going well. But what’s this? A chum greets me as he runs past! “Morning David,” I manage to gasp. A few minutes later, Sylvia passes me followed by Paul, then Mike, Paula and Giles, all cheerily acknowledging me as they cruise past. This is not how it’s supposed to be! Only my pal Dominic, who is recovering his running fitness, remains one second behind at the finish line. When I recover my breath and look up, I have a clear view of Zeus lolling around on an even lower cloud, shaking with laughter. Obviously I am nowhere near a personal best. Cambridge junior parkrun today. 15 minutes before it’s due to start, it begins to rain fairly heavily. The adults don’t like the conditions. The children hardly notice. Despite the weather all goes smoothly. Junior parkrun is well supported by volunteers and parents and continues to be hugely enjoyable. Each runner is loudly encouraged all the way round the course and particularly over the finish line. Their faces light up with pleasure.No need to rely on the good will of the Roman gods. In the afternoon I went for a 10 mile run along the river Cam as part of my preparation for the Grunty Fen half marathon in three weeks. It felt easier thn last week. I got back in time to see Mo Farah win the 5k race at the Zurich European Championships. He’s got my running style! This entry was posted in Am I Being Unfair?, Books, Cambridge, Cambridge bookshops, Cambridge UK, creating ponds, difficulty accepting friends have the cheek to run faster than me, dragon flies, Exercise and heart disease, junior parkrun, miserable weather, parkrun, Running, running with heart disease, second hand bookshops, Uncategorized, Zeus and tagged Bibliophilia, books, exercise, heart disorder, junior parkrun, parkrun, reading, running, volunteering at parkrun. Bookmark the permalink.